PSTWay is the ONLY way you can access pst files and Personal Folders from within Outlook Web Access. 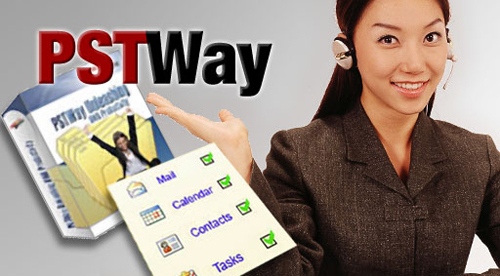 PSTWay now fully supports Exchange 2007. If your enterprise Exchange quota’s are small and a lot of your users still keep their info in Personal Folders, then PSTWay offers the only solution to access these files from within OWA. PSTWay adds the Personal Folders to OWA’s existing Exchange mailbox tree making utilization and access seamless, quick and easy. OWA users can now access their Personal Folder information contained in Outlook pst files. With PSTWay users can access 100% of their important Email data and can be fully productive using OWA. PSTWay adds the Personal Folders to OWA’s existing Exchange mailbox tree and utilization is the same.